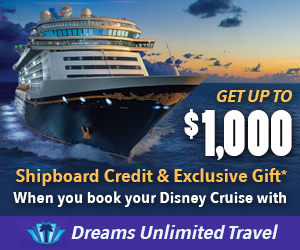 Discussion in 'Disney Cruise Line Forum' started by rramsr, Apr 15, 2019 at 7:01 AM. fredandkell, DIS_MIKE, CamColt and 10 others like this. We were on this sailing as well. So happy the captain made the call to switch days for Castaway Cay. It couldn’t have been more perfect!! suedon70 and rramsr like this. When they can find a way, they try their best! rramsr and lfishe3 like this. Love the Chicken Parm in Palo! So glad you were able to dock at CC, and glad you had a great cruise! Sounds great!!! Glad things worked out for both CC and Palo!! I was on this sailing too, first time on the Dream, and had a fabulous time. Was so glad we were able to enjoy castaway cay with beautiful weather. I was surprised how smooth the whole cruise was—only felt a little bit of motion the first night and much less than my previous cruises out of Vancouver and Miami. Wish we lived closer so we could do another one soon! CinderellaDream and rramsr like this. GPaLarry Have earned one ear! On our Med./WBTA B2B, we got switched from a Monte Carlo landing (too rough for tendering) to an "at sea" day and the next, "at sea", was a stop in Marseille's. Captain made the call early in the day, got permission for the new port landing, found a dozen excursions at the new port and got the word to all of us in about three hours. I talked to a DCL officer later about it and he said that they had plan "B" and "C" ready for almost any event. The Mouse is has you/us covered. Same here, we were on this sailing and before we left I had it in the back of my head that they were going to have to switch days or we were going to be soggy on CC, sure enough they made it happen. I'm glad they are allowed to make decisions like that for the good of the trip(customers). Was there a character breakfast during the cruise? We are travelling with our two year old Grand daughter and she would love this. Character breakfasts are only on cruise 7 nights or longer.